Eggplant cultivars are so diverse that a clear separation into cultivar groups is impossible. The fruit shape is variable from globose to snake shaped, and may be furrowed or smooth. The colour of the skin is variable from white, green, pink, violet, purple to black, and may be uniformly stripped, mottled or netted. 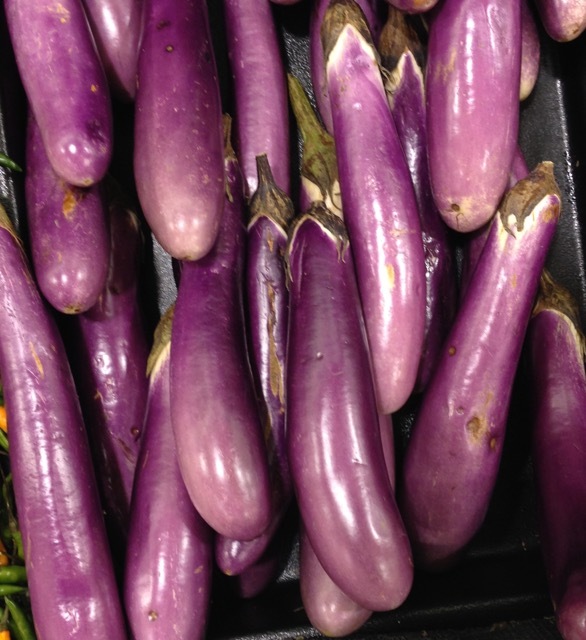 Chinese eggplants are narrow and elongated with a pale violet shade of colour. They can grow up to 18-inches long and 2-inches wide. Their skin is relatively thin. 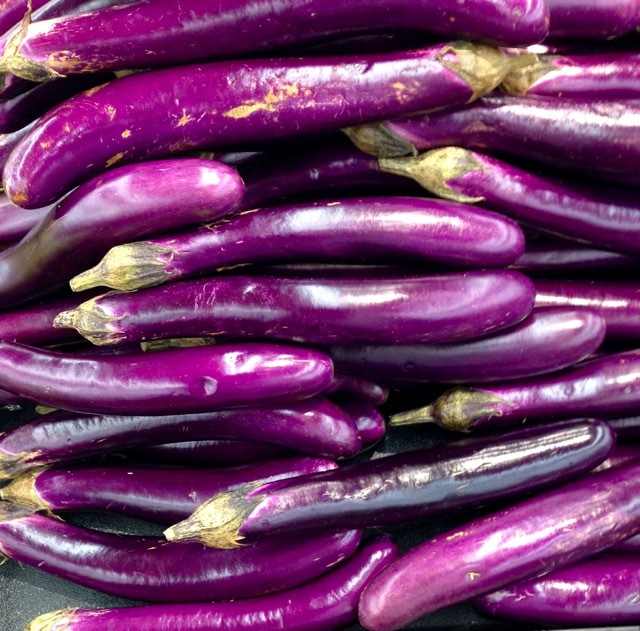 They are are sweetish, with the mildest flavour of all eggplant varieties. Their flesh is cotton white, semi-firm and nearly seedless. They are best stir-fried, grilled, braised, baked or deep-fried, because the cook faster than other varieties. White and variegated varieties also exist. 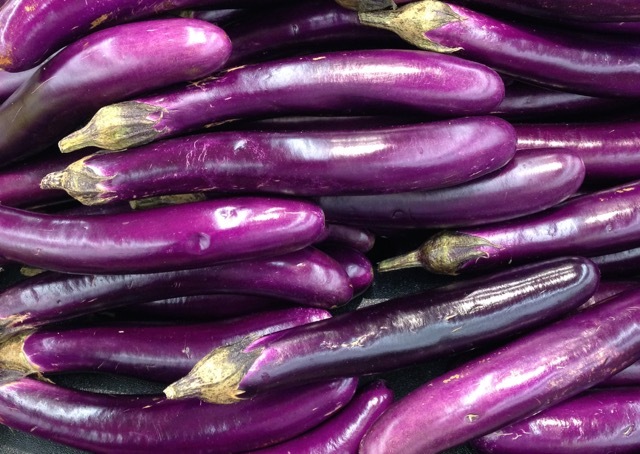 Eggplants are delicate, so the skin can be easily punctured and this eventually leads to decay. Handle them with care. Avoid refrigeration unless absolutely necessary, as this can damage the texture and flavour of the eggplants. If you must refrigerate it, then place uncut, unwashed, eggplant in a plastic bag in the fridge crisper for 3-4 days only. Available all year round with peaks in July to October. Posted in IngredientsTagged Chinese Eggplant, Eggplant, Solanum melongena L.